Without citing sources, Variety reports Rober is working as an engineer in Apple's highly secretive special projects group. The YouTube star, whose science and technology channel boasts some 3.4 million followers, is currently focusing on VR systems and applications. Backing up those claims, Rober is named as lead inventor on at least two patent applications assigned to Apple, both of which cover VR technology for integration in passenger vehicles. The YouTuber's LinkedIn profile notes he changed jobs in 2015 from VP of New Product Design at Morph Costumes to a product design engineer position at an unnamed company. Rober revealed a bit more in a Reddit AmA last year, saying he was working at "a large tech company" in the San Francisco Bay Area. As for the patents, filings with the U.S. Patent and Trademark Office show a pair of novel use cases for VR as it applies to self-driving cars. 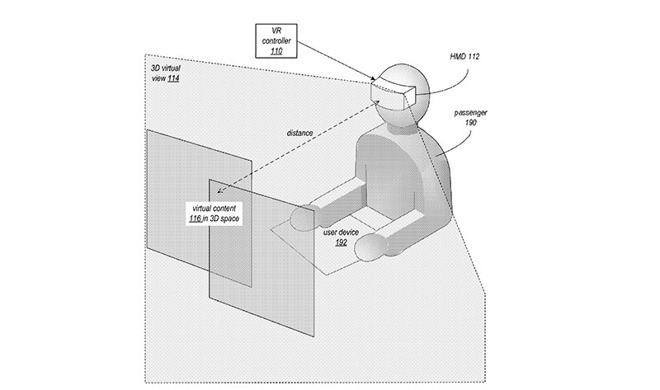 The first, Augmented Virtual Display, was filed in September 2016 and describes a method of minimizing motion sickness when viewing VR content in a moving vehicle. In particular, the IP details a technique by which content is projected at a fixed point, through a head-mounted display or similar equipment, and is synchronized with car acceleration input gathered by onboard sensors. Some embodiments enlist the support of "active seats," HVAC systems and other mechanical apparatus to help negate the effects of motion sickness sometimes experienced by passengers who operate digital devices or focus on stationary objects while a car is moving. The system might be used for entertainment or productivity. For example, users can participate in a remote conference call while on the way to the office, or watch a movie. In a more outlandish — and fun — embodiment, the patent describes a method of directly controlling vehicle propulsion and steering systems, allowing a passenger to participate in a VR race with real-world motion effects. Rober's second patent application for an "Immersive Virtual Display" describes another method of reducing motion sickness in a self-driving car by displaying a replacing real-world views with a rich virtual environment. Again, the technology incorporates acceleration input from onboard sensors to present a synchronized sensory experience. Whether Apple is working to build Rober's IP into a shipping consumer product is unknown. Apple started work on its self-driving car initiative, dubbed "Project Titan," in 2014. At its peak, the effort counted well over 1,000 employees among its ranks, with specialists in automotive hardware to software focusing on a rethinking of the automobile. Initially, Apple planned to build a complete car solution from the ground up, but the strategy quickly shifted first to establishing manufacturing partnerships with existing carmakers, then to requests for integral parts like chassis and wheels. Apple soon realized that stepping into the established automotive market was much more onerous than originally anticipated. The ambitious undertaking began to unravel as disagreements between team leaders like former project lead Steve Zadesky and top executives took root, AppleInsider sources said. Longtime executive Bob Mansfield assumed control of "Titan" last year, whittling the team down to necessary personnel as the project refocused on software and supporting solutions. The company is now fielding a test fleet of autonomous vehicles to evaluate its in-house developed driving systems, reportedly in hopes of porting the technology to a self-driving shuttle for employees called. Most recently, a report last month claimed Apple inked a deal with Volkswagen to convert an unknown number of T6 Transporter vans for the PAIL, or Palo Alto to Infinite Loop initiative.